M4A is an audio format developed by the Apple incorporation to play the audio files on the iOS devices. This format uses the Apple for the audio files and can be played in the apple QuickTime player. If you are using windows media player on the windows OS then you can’t play this file. You need to convert M4A to WMV using a M4A to WMV converter software or online website. Don’t worry about that because there are many M4A to WMV converters available which can help you to play these files on the devices of your choice. 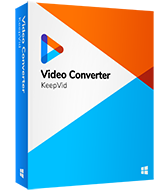 KeepVid Video Converter is a program which enables you to convert M4A to WMV format quickly on the Mac and windows OS. This converter software helps you to convert the files in mostly all formats because there is wide range of formats are supported by this converter. This M4A to WMV converter program is an all in one converter software helps you to convert, edit or download the videos from internet as well. Convert the videos and audios to more than 1,000 video and audio formats. Edit videos with helpful features like trimming, cropping and so on. Convert videos with 30X fasater converting speed. Step 2. 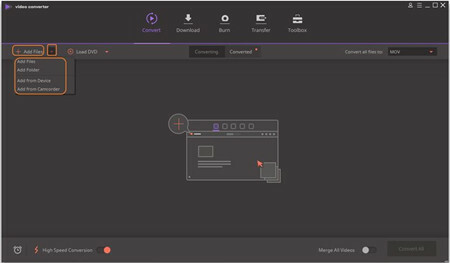 Select WMV as output, and click the Convert button to start converting M4A to WMV. After knowing about this M4A to WMV converter, download and install it to give a try. You can add M4A files by clicking the Add Files button, or dragging and dropping it into the program window. Click the upside down button in the top right beside “Convert all files to” and choose WMV format from the “Video” tab. Now just click the “Convert All” button at the bottom right of screen to start converting M4A to WMV files. •	WMV is generally used for the video files but it is a container format so it can hold both audio and video. • If you need only audio then you can convert the files in WMA or MP3 format. 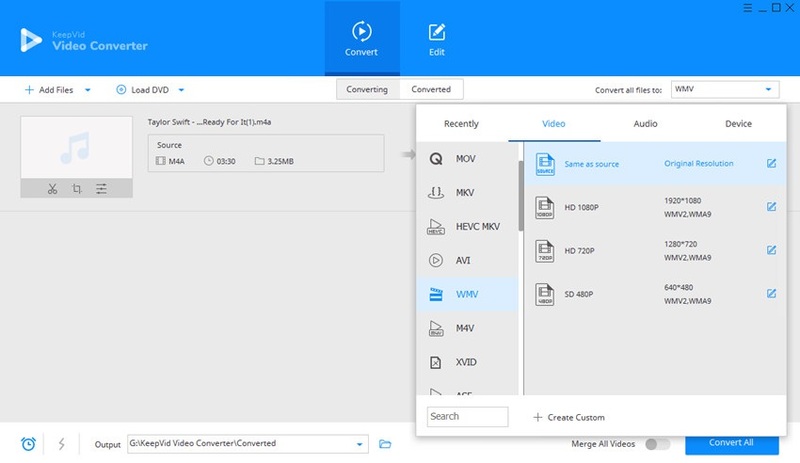 If you are thinking about converting M4A to WMV without any installation of desktop program then you can use KeepVid Online Video Converter website. This website is an online converter so you don’t need to install any software or plugin and the great part is that it is totally free. There is no charge on using this website and no longer need you to register any account as well. There are 60 audio video formats supported by this online website. 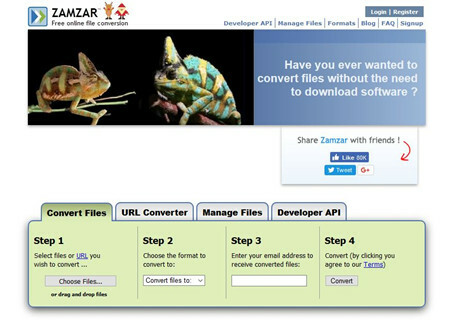 ZamZar is also a free online converter website which supports the conversion of local computer files and even you can convert the videos by entering the video URL while using this website. It supports many popular formats. If you are looking to convert any document then also you can get help with this converter website. This website directly doesn’t give you any converted file you have to enter your mail id and it will send the file on the entered id. It is limited to convert 100 MB file size at a time. 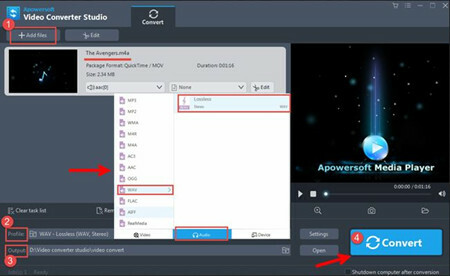 Video Converter Studio is powerful converter software which enables you to convert videos and audios in popular video and audio formats. It allows you to convert files, adjust high and width or bitrate before starting the conversion of the files. There are new popular formats also added in this program to make it more powerful. The only issue with this program is that it is developed for windows users only so Mac users can’t install it on their system. Supports conversion of videos in mostly all formats. Add subtitles, watermarks to the video before conversion. Burn the files to DVD directly. Wondershare Video Converter Ultimate is another great video converter program and fully supports Mac and windows OS. This powerful converter software enables you to convert, edit, download or burn the videos to DVD. All these things can be done by using this single software that’s why it is known as the all in one program. It can easily fulfill any of your conversion needs because of the wide range of supported video and audio formats. Convert video and audio files with a good conversion speed. Editing the video files and personalizing them is easy to be done. Offer user-friendly interface which helps you to handle it easily.